A win here guarantees us points on one of our title rivals as Chelsea play Spurs. I just like the fact we can currently call these teams title rivals! We are also the first game gives us a chance to apply pressure early on. City play Everton Monday night. I said in another thread that I'd probably have Herrera in for Mata but JSP's argument for maintaining a consistent side and not needing to go more defensive makes me agree. Same 11. The liberty stadium is so much smaller then Old Trafford and when Mata, Miki and Rashford drift inside it's too clogged. Ander will flatten that midfield and free up abit more space for the wide players to come in. It highlights for me just how badly we need a natural winger. The biggest problem in our 4-3-3 is Rom getting isolated up front on his own, like he was in the super cup. He can't be the only one in the box from crosses. So Ive got a horrible feeling he will drop Mata for Fellaini. If Llorente was fit I'd be certain he would. I think he sees Fellaini as a shadow striker now. Someone to take a defenders attention in the box rather then everyone hugging Lukaku. That's fine with me because his a rubbish centre mid. He does offer a good outlet, and can mark say Tammy for set pieces. The problem is when we fall in love with the direct ball to him which is easily done. I think his massively come on since Jose arrived at the club but still isn't good enough to wear that shirt. But I'm sticking him in for Saturday over mata. To be fair I think that second striker role is the only role Fellaini should play. Him and Romelu have played together before in those roles too so should have a little understanding. Can't see him starting many games though. Was looking in to the Swansea pitch size as I thought the premier league standardised pitch sizes and they could only be smaller if their stadium couldn't fit the standard pitch size in. Liberty Stadium and Old Trafford pitches the same size. Yep pitches are the same size the only one that I think currently is smaller is Stamford bridge as Spurs pitch will now meet the regulations being at Wembley. Same XI for me see no point in changing it another week between games if we get ahead bring on guys like Herrera or Martial to get them the minutes they need to get up to speed and show why they should be starting. Martial gave us a good reason why he should be starting, unfortunately for him so did Rashford and Miki. While I do think the best way to success is to keep a regular side as often as possible, I do think that he will drop Mata to sure up the midfield. I know its Swansea and we should be more then fine. But the fact that they like to keep the ball and we are away from home. I just think it all means he might tinker the side slightly. So if that does happen either Herrera or Fellaini comes in to replace him. Like i said earlier if Fellaini gets the nod i wouldn't be surprised because Jose does seem to trust him. He will play closer to Lukaku and actually try get on the end of crosses. Personally I think his a chocolate tea pot but if it doesn't work the Mata/Martial subs are easy to make after. I'd probably stick with a winning team but I'd be surprised if Mourinho does. I think Herrera will come in for an attacker and perhaps even Darmian and/or Lingard to counter Naughton and Ayew down the flank. Whatever the team, we should have more than enough to beat Swansea. Anything of interest come out of the prematch press conference? Shaw and Young to play for U23s next week. That's about it. Team: De Gea, Valencia, Bailly, Jones, Blind, Matic, Pogba, Mata, Mkhitaryan, Rashford, Lukaku. Subs: Romero, Lindelof, Smalling, Fellaini, Herrera, Lingard, Martial. The tempo in the attacking third could be better. Just let out a sigh of relief. So... Is Jose now going to learn?! Pogba needs to play in a midfield 3 for goodness sake! Do that and it frees him up. In fact I'm not quite sure why he's not playing Pogba, Matic and Herrera from the start but hey ho. 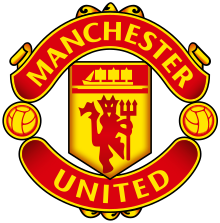 Please use existing Match Discussion threads or create new threads to discuss talking points in the Manchester United forum: Manchester United | Stretford End Arising Forum (link to Manchester United forum).